Dr. Ramneek Mahajan, Senior Orthopedic and Joint Replacement Surgeon, has more than 2,500 successful joint replacement cases under his belt. He performed an unparalleled 500 joint replacement surgeries in just one year in 2015. With 10,000 other orthopedic surgeries till date and much more to go. Dr. Mahajan is striving hard to make his patients regain their physical fitness. He is serving as the Director of Orthopedics at Max Super Speciality Hospital, New Delhi. 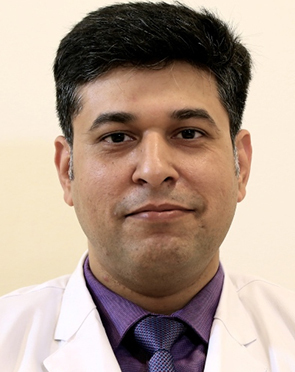 He has specialization in Joint Replacement and Arthroscopy and a fellowship in Joint Replacement from Singapore General Hospital, The Prince Charles Hospital, Brisbane and Puttlingen Hospital, Germany. He also took over the responsibility of Senior Consultant at Fortis Hospital, Shalimar Bagh, and Vasant Kunj. His tenure as HOD, Orthopedics, in Nova Special Hospital in Delhi before joining Saket City Hospital added more feathers of success to his career. He has done live joint replacement surgeries to train other surgeons during various symposiums and conferences. Advanced Training in Arthroscopy, Munich, December 2010. Fellowship in Joint Replacement, Singapore, April 2007. Fellowship in Joint Replacement, Germany, Feb 2009. Fellowship in Joint Replacement, Brisbane, Nov 2012. Dr. Mahajan performs 58 different procedures. Click on a procedure name to see more details and to view doctors for that specialty. 4.4 average based on 55 reviews.